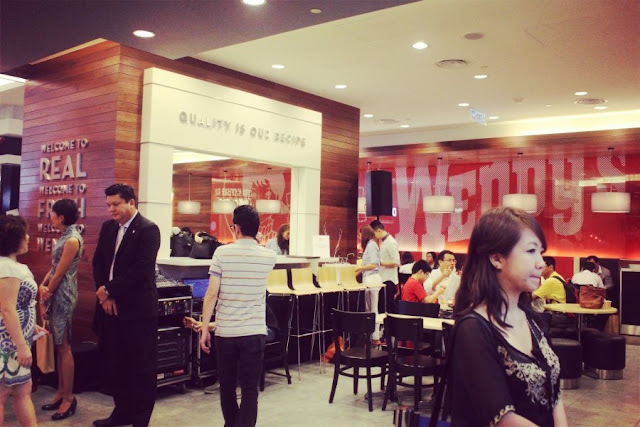 The tenth outlet of Wendy's Malaysia had officially launch on 14th December 2012 in Suria KLCC. *Take a break for myself from rushing my animation and I am decided to updating my bloggie. Yay!!! A new foods & beverage option in Suria KLCC. For your information, Wendy's was a fast food restaurant. Perhaps not as prominent as other fast food restaurant but Wendy's provide some alternative if you're looking for something different. 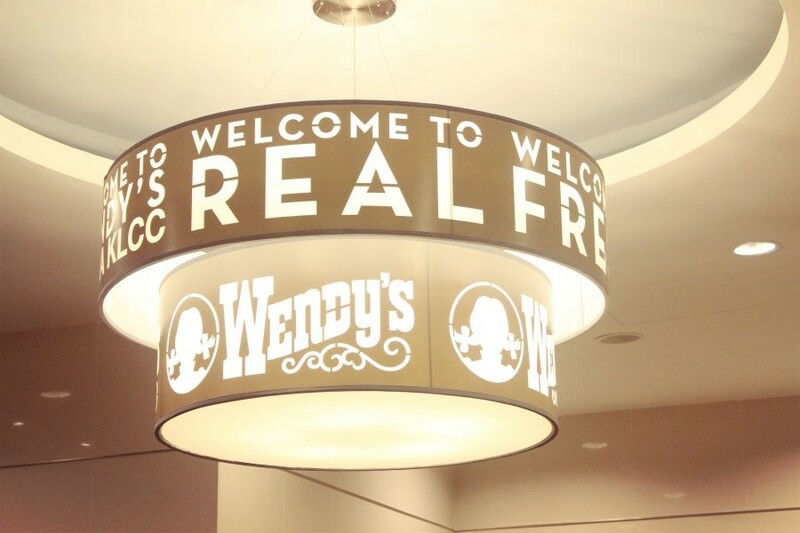 Other than that, Wendy's not only ensures that each burger is fresh off the grill, but also allows the customer to customize their burger just the way they like it. Wendy's always take important to their foods by a quality burger. 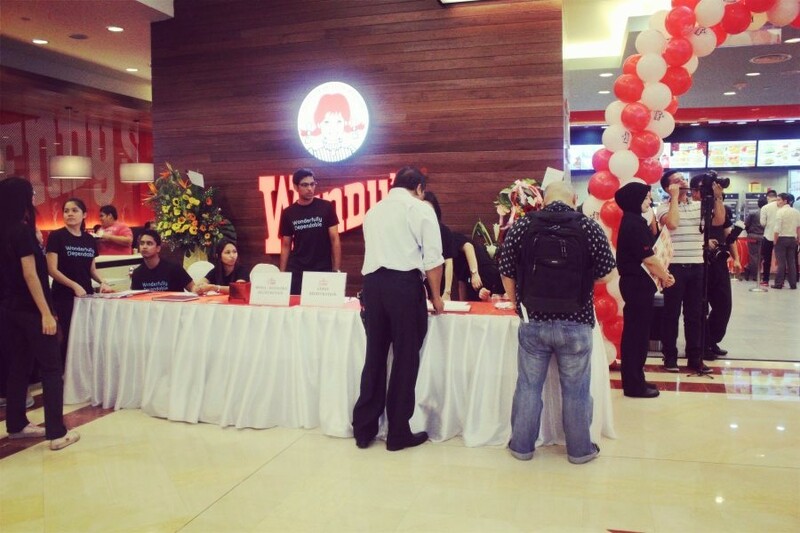 Everyone who been invited start registered themselves for exploring more about Wendy's. 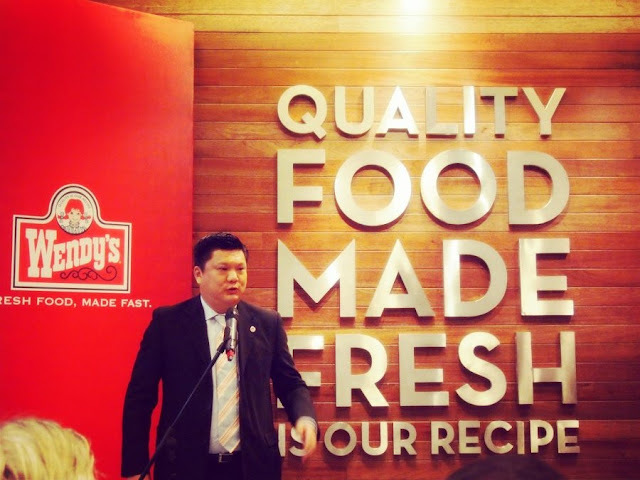 Officially Ribbon-Cutting ceremony by Wen Berjaya Sdn.Bhd (Berjaya Group subsidiary) and Mr.John Pain (The Vice President and Managing Director of Asia Pacific and EMEA, Wendy's Company). Can you see how's big smile Mr.Pain on that day?! Some speeches from Mr.Wen and Mr.John Pain. Regarding from Eunice's Euphoria's information (because superb late and I had miss this part), Mr.Pain just simple briefing about the history of Wendy's. The founder of Wendy's was Dave Thomas. 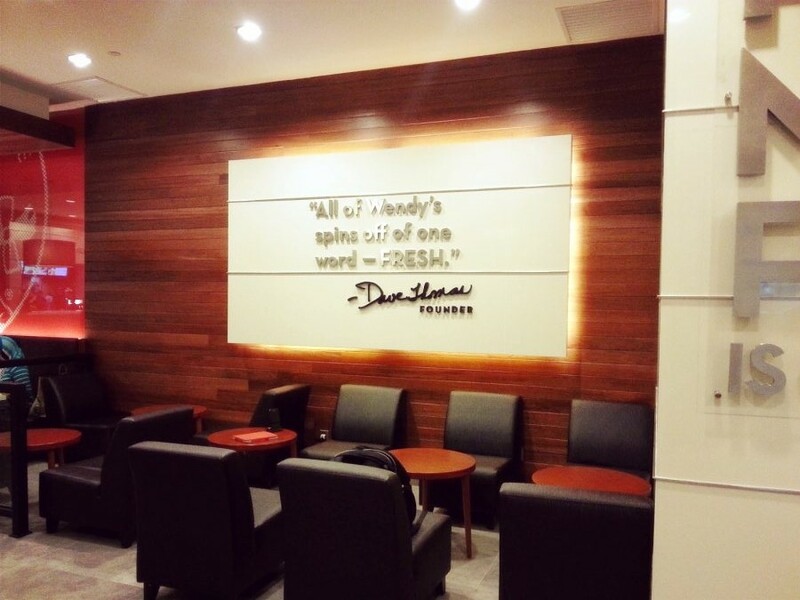 When Dave Thomas opened the first Wendy's Old Fashioned Hamburgers restaurant, he created something new and different-high quality food made with the freshest ingredients, served the way the customer wanted. 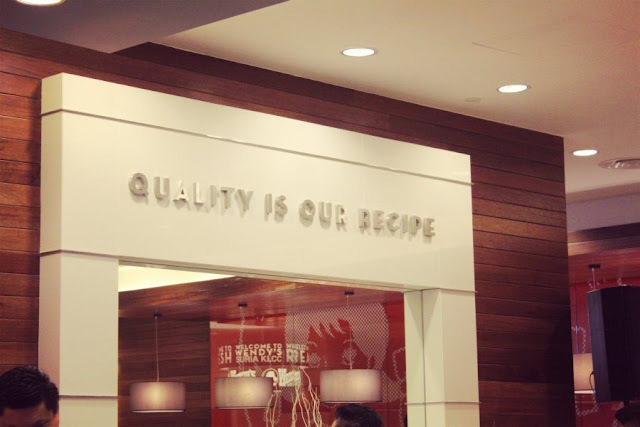 Quality was so important to Dave that he put the phrase "Quality is our Recipe®" on the logo. Today, the passion for quality remains our number one priority at every Wendy’s restaurant around the world. And it all began in 1969 with a single restaurant in Columbus, Ohio. 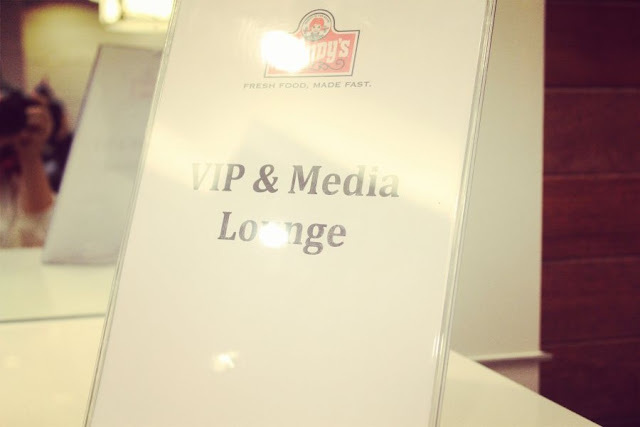 The VIP and Media Lounge. 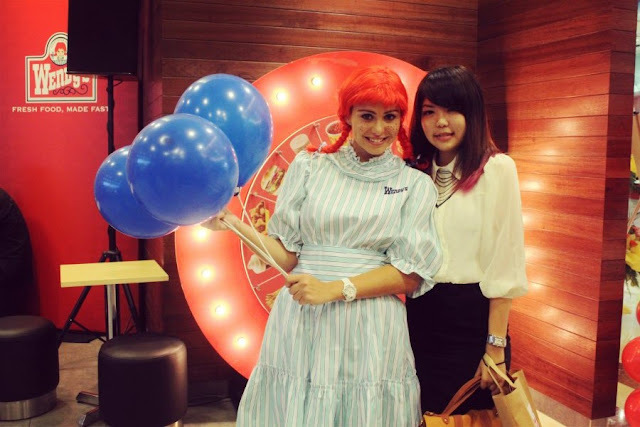 We're enjoy Wendy's free meal here. Okay!!! Let's move on to Wendy's exterior design. 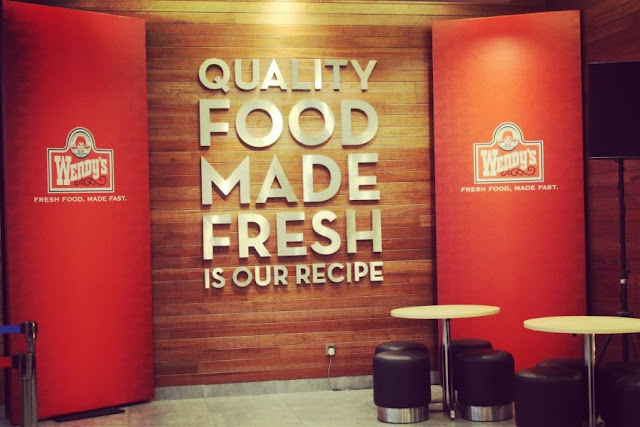 This restaurant is the first international-looking outlet, based on our 'Image Activation' drive to enhance and modernize all Wendy's restaurants. (o.O) What's going on?? 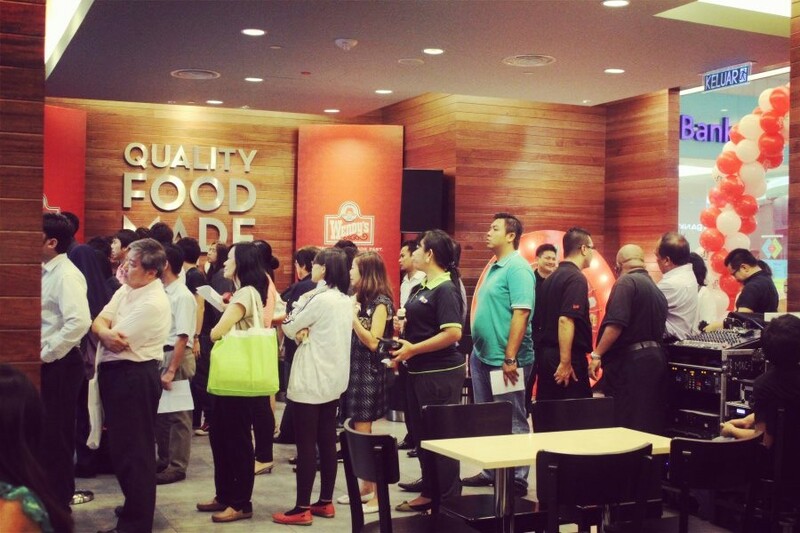 A long queue here once Wendy's open to public. Lol. A super awesome promotion on that day. 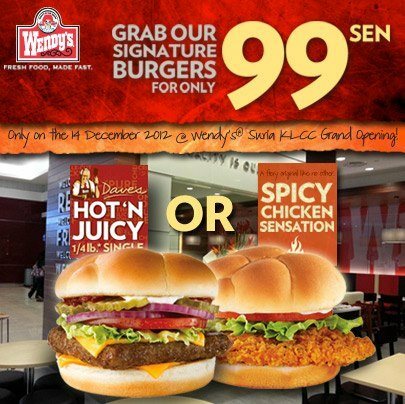 Everyone can grab a burger for only RM0.99. The most cheap burger in Malaysia!!! Btw, the deal has alreasy end. *Btw, some of pictures credited to Wendy's & Eunice's Euphoria.